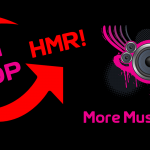 Here you catch up with the Old Skool Rewind and Anthems on demand with Wayne as heard at 21:00 on the 12th of April 2019. 9pm – 10pm Your browser does not support the audio element. 10pm – 11pm Your browser does not support the audio element.